Vertigo – the momentary disruption of the stability of perception – is an intriguing game element that underlies many unique play experiences, such as spinning in circles as children to rock climbing as adults. Yet vertigo is relatively unexplored when it comes to digital play. We explore the potential of Galvanic Vestibular Stimulation (GVS) as a game design tool for digital vertigo games. We designed and studied a novel two player GVS game, Balance Ninja. With this work we aim to highlight that vertigo can be a valuable digital game element that helps to expand the range of games we play. 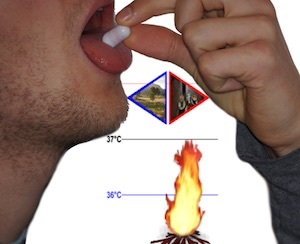 Unlike most games that are controlled via external controllers, the Guts Game uses an ingestible sensor in the form of a pill, with which the players control the game by varying their gut temperature. With the Guts Game, we show that the usage of gut temperature as a game input is feasible and demonstrate that experiencing your body as play, via an ingestible sensor, can be a mesmerizing play experience. Learn more. Li, Z., Brandmueller, F., Greuter, S. and Mueller, F. 2018. The Guts Game: Designing Playful Experiences for Ingestible Devices. Extended Abstracts of the 2018 CHI Conference on Human Factors in Computing Systems. CHI 2018 Videoshowcase. Finalist. ACM, 1-1. Video. Brandmueller, F., Li, Z. Guts Game – A Game using Ingestible Sensors. CHI PLAY 2017. Student Game Competition Finalist. ACM. 625-631. Li, Z., Brandmueller, F., Mueller, F., Greuter, S. Ingestible Games – Swallowing a Digital Sensor to Play a Game CHI PLAY 2017. Work in Progress. ACM. 511-518. During Brainwave Art workshops participants make an abstract image inspired by their dreams. Participants then use an EEG headset so that their own brainwaves animate their personal dream image. Workshop participants can experiment and play with how their brainwaves affect and change their dream image. Sleep is one of the three pillars of health alongside diet and exercise. But unlike diet and exercise, sleep is an under-explored area. 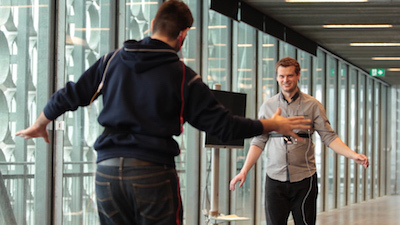 We use our unique Brainwave Art system in interactive exhibitions and public workshops. Our Brainwave Art system aims to help educate people about the importance of sleep and helps them connect with their resting mind. More information here. Experience your dreams come alive. Walk in the dreams of others. DREAM 2.2 is interactive brainwave art in the form of an audio-visual performance and interactive installation. The performance features a sleeping person and abstract projection mapped, audio-visual representations of the sleeping person’s brain activity. We use EEG (electroencephalogram) sensors to track the electrical activity of the brain and generate audio that in turn generates audio-reactive visuals. The audio and visuals respond to different types of brain activity. 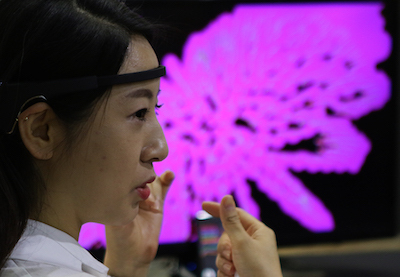 The EEG sensor generates abstract real-time audio-visual art. The visuals are projection mapped onto maze-like projection surfaces in the exhibition space. DREAM 2.2 imagines a future where instead of sleeping, people stay awake to experience being inside others’ dreams. This hybrid work invites audiences to reflect on our contemporary obsession with observing others’ activities through digital and reality media. More information here. 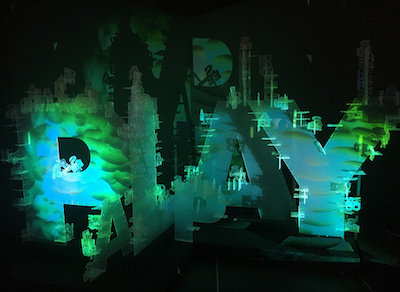 The Playground is a participatory media artwork that features a co-designed sculpture, interactive projection mapping and public participation. The public is invited to find sculptural pieces that are hidden around the exhibition area. They bring these pieces to the exhibition space and connect them to The Playground sculpture. Audiences can also take photos of their city environment and upload them to an online platform. These images are automatically animated in real time and projection mapped onto the The Playground sculpture. During special Playground exhibitions we also exhibit our unique custom designed movement tracking and projection system. When audiences enter the exhibition area we track the small sculptural piece that is in their hand and project the audience member’s own “city environment” image onto the piece as they move around the exhibition area. 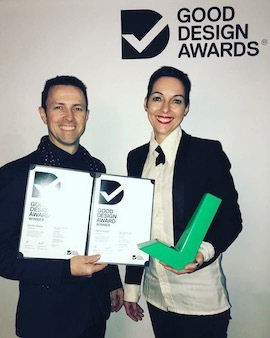 The Playground seeks to socially and physically engage audiences and personalise their experiences of art and technology. More information here. Sargeant, B., Mueller, F., Dwyer, J., Using HTC Vive and TouchDesigner to Projection-Map Moving Objects in 3D Space: A Playful Participatory Artwork. CHI PLAY 2017. Spotlight. ACM. 1-11. The Storytelling Machine transforms the public’s drawings into animated characters that roam the artwork’s video worlds. 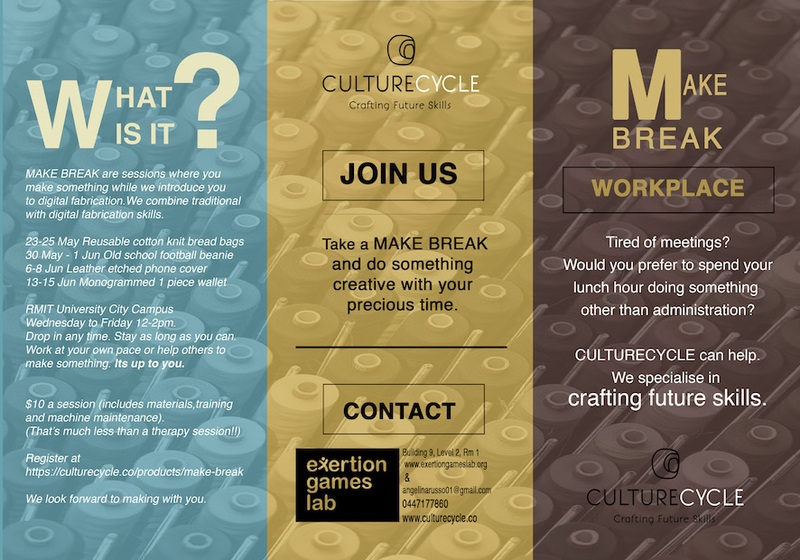 The machine delivers a randomly generated collective story created from public content. People of all ages can draw characters of any shape and feed them into the machine. The machine instantly animates the characters and decides their path across video settings that feature international locations. The public can also contribute short story texts in any language. The Storytelling Machine determines what combination of characters and texts will be shown. In many ways social media has become our society’s dominant narrative. Social platforms often dictate how we write, publish and consume our stories. The Storytelling Machine reflects practices used in social media. As soon as audiences enter their character and text into The Storytelling Machine they relinquish control over them. The machine determines the narrative. More information here. “Ava, the eBike” is an augmented eBike that aims to support the experiential aspects of cycling. 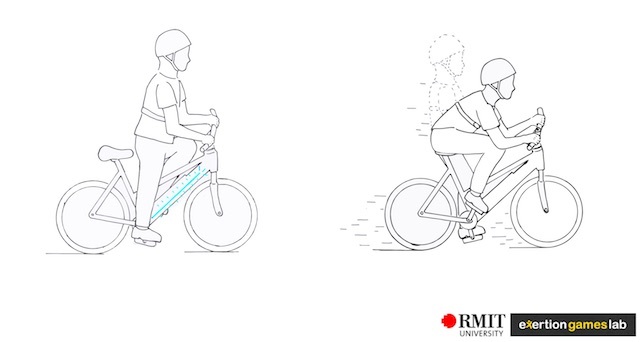 If sensing a leaning-forward action when aiming to speed up, the engine kicks in and accelerates the cyclist, supported by a joyful sound similar to sports cars when accelerating. Through this work, we aim to highlight the potential of interactive technology to not only support instrumental, but also experiential aspects of exertion activities. In particular, we see a unique opportunity to experience our bodies as play through actuation technologies, such as afforded by eBikes. As such, eBikes are for us readily-available exoskeletons for the masses. More information here. Höök, K., Caramiaux, B., Erkut, C., Forlizzi, J., Hajinejad, N., Haller, M., Hummels, C., Isbister, K., Jonsson, M., Khut, G. and Loke, L., 2018, February. Embracing First-Person Perspectives in Soma-Based Design. In Informatics (Vol. 5, No. 1, p. 8). Multidisciplinary Digital Publishing Institute. Mueller, F., Byrne, R., Andres, J., Patibanda, R. Experiencing the Body as Play. Proceedings of the 2018 CHI Conference on Human Factors in Computing Systems. 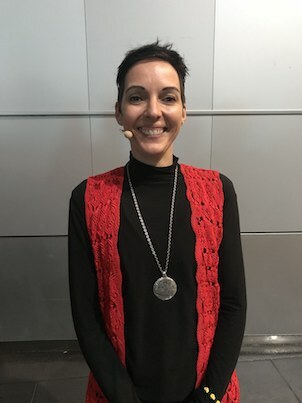 CHI 2018. Long paper. ACM. Talk video. BEST PAPER AWARD. Marwecki, S., Brehm, M., Wagner, L., Cheng, L., Mueller, F., Baudisch, P. VirtualSpace – Overloading Physical Space with Multiple Virtual Reality Users. Proceedings of the 2018 CHI Conference on Human Factors in Computing Systems. CHI 2018. Long paper. ACM. Talk video. Sargeant, B., Mueller, F. How Far Is Up? Bringing the Counterpointed Triad Technique to Digital Storybook Apps. Proceedings of the 2018 CHI Conference on Human Factors in Computing Systems. CHI 2018. Long paper. ACM. Talk video. Mueller, F., Gibbs, M.R., Vetere, F. and Edge, D. Designing for Bodily Interplay in Social Exertion Games. ACM Transactions on Computer-Human Interaction. Volume 24, Issue 3, 2017, 1-41. Presented at CHI 2018. Talk video. Li, Z., Brandmueller, F., Greuter, S. and Mueller, F. 2018. The Guts Game: Designing Playful Experiences for Ingestible Devices. Proceedings of Extended Abstracts of the 2018 CHI Conference on Human Factors in Computing Systems. CHI 2018 Videoshowcase. ACM, 1-1. Video. Dolej, M., Khot, R., Davis, H., Ferdous, H. and Quitmeyer, A. 2018. Designing Recipes for Digital Food Futures. Proceedings of Extended Abstracts of the 2018 CHI Conference on Human Factors in Computing Systems. CHI 2018 Workshop (organizing). ACM, 1-8. Betty has just won her category “Play” at the Veski Fast Smarts Innovator of the Year award, congratulations Betty!!! Top 1 % at CHI’18! 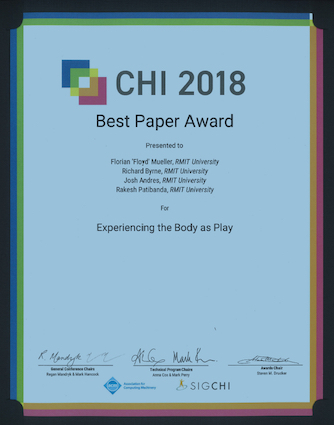 We received the Best Paper Award at CHI’18, making it the top 1% of all submissions! Mueller, F., Byrne, R., Andres, J., & Patibanda, R. (2018, April). Experiencing the Body as Play. In Proceedings of the 2018 CHI Conference on Human Factors in Computing Systems (p. 210). ACM.